Last year, I reviewed Yumi’s Odd Oddyssey and thought it was quite fantastic. Here we are today with the updated version of the game. I have to say, this version is a huge improvement on an already solid video game. This review will be a bit different since I will mainly focus on the changes and improvements made since the 3DS version. Both of these ladies want my time and attention! Agatsuma Entertainment published this one instead of Natsume! 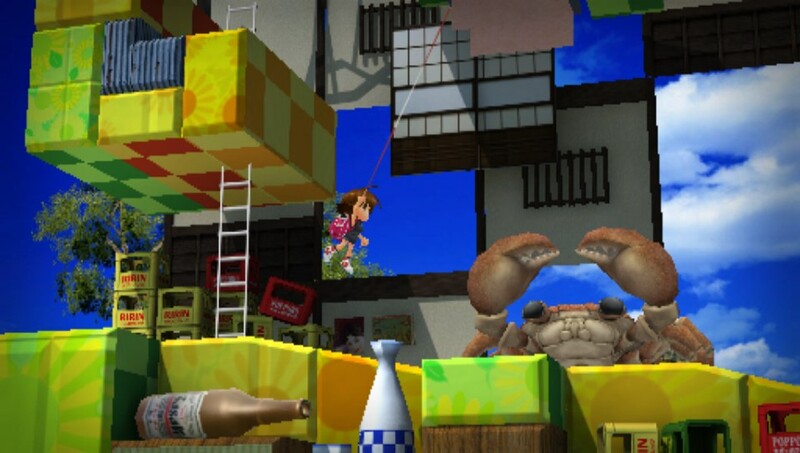 The best part about this is that the game has the correct name: Sayonara Umihara Kawase+. 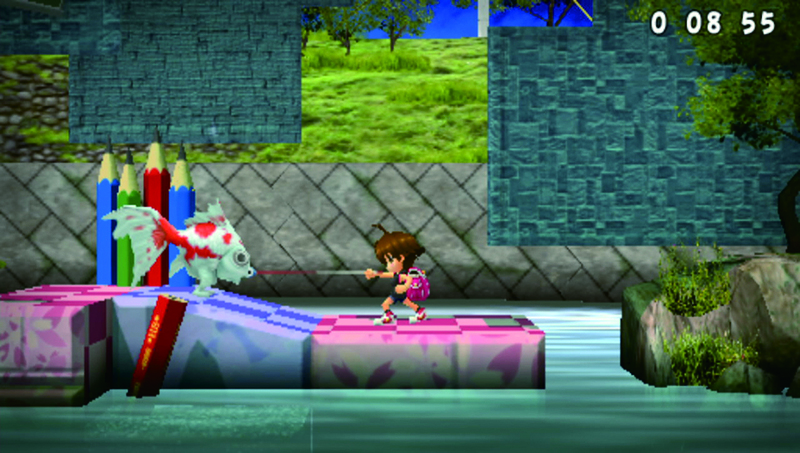 Get out of here, Yumi, and make way for Umihara! This time, the level map scrolls downward instead of to the right, which I think makes a bit more sense and makes it easier to see your progression through the game. As always, the goal of the game is to get to an ending. There’s no real plot here, but that is because the focus is on the level design. 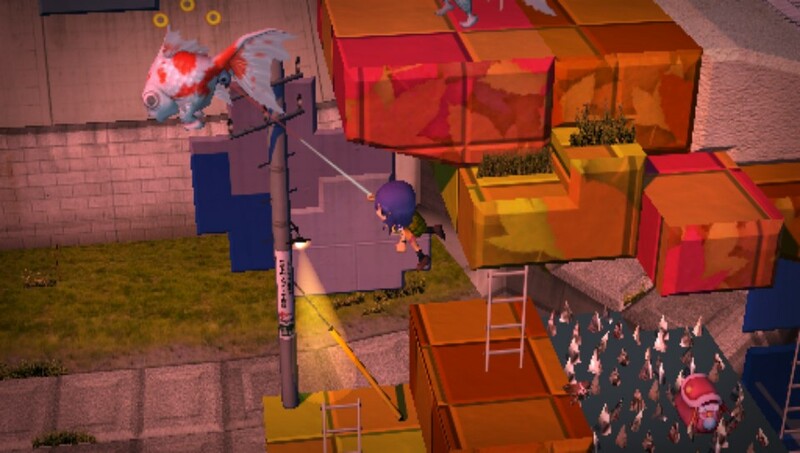 Your character is armed with a fishing rod, and she can latch onto almost any kind of terrain and swing or propel herself all over the level to reach a door, which leads to another stage. Eventually, you get to a boss stage and, once you defeat it, the credits start rolling. What’s with the liquor on the floor? Is this crab an alcoholic? When you are in a level you will notice that the game is significantly smoother, running at a nice 60 frames per second. I hate to be that guy about frame rate, but this game really benefits from it. Seriously, play this, then play the 3DS one and you will wonder why you even tolerated that version. Also the PlayStation Vita’s D-pad works incredibly well for this game and offered even more precise control. All of the stages from the 3DS version are back including some brand new ones, bringing the total count to 60. Unfortunately, the amount of endings is the same as the 3DS one. As of this writing, I reached four out of five endings. I am currently stuck on Stages 33 and 54, both of which are ridiculously hard. In my eyes though, that is the beauty of this game and the series in general. There is so much room for you to experiment in the levels, and the feeling of accomplishment you get when you manage to get to the end or find a really cool way of getting there makes all the pain, suffering and emotional trauma worth it. Well, I may have exaggerated a bit with that last part, but this is definitely a game that will put you on edge as you watch yourself just narrowly avoid getting killed by an enemy or spike. Like many old games, one hit and you’re down except if you play as one of the younger characters who can take an extra hit, provided they reached a checkpoint in the level. You can ride the duck if you want, it has some very comfortable and bloody spikes for you to sit on. 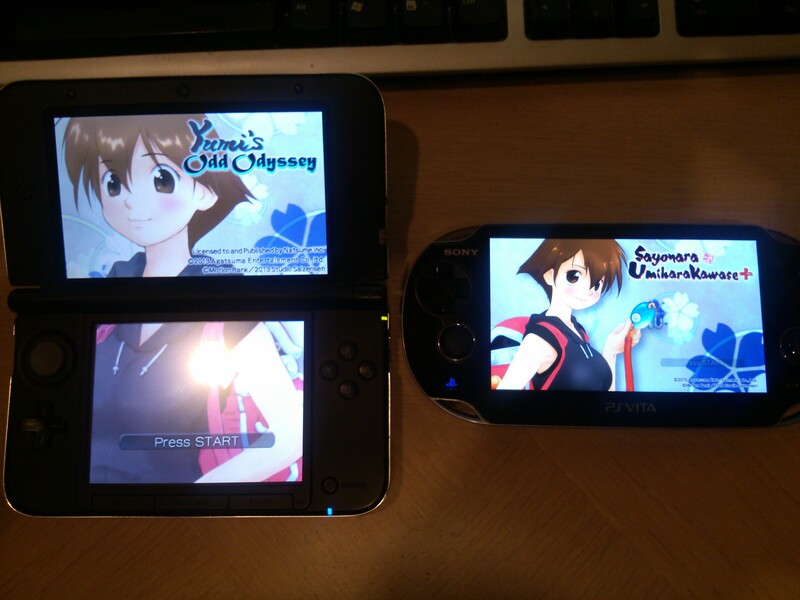 From the start menu you can choose one of two games: Sayonara Umihara Kawase+ and the original Umihara Kawase. This is the first time we are seeing an official English release of the original Umihara Kawase released on the Super Famicom in 1994! This is something that I have wanted for so long, that I almost imported the now rare Super Famicom cartridge. In my original review, I mentioned that I was not too impressed with the visual style of the game. I am happy to report that they enhanced the visuals quite a bit! The character models have been improved, and much more detail has been added to them so they look a bit closer to their official artwork. The stages also have a little bit more going on with birds flying around in the background and fish jumping in and out the water. It is subtle detail, but I think it definitely helps to make the levels feel a bit more “Alive” than they did before. 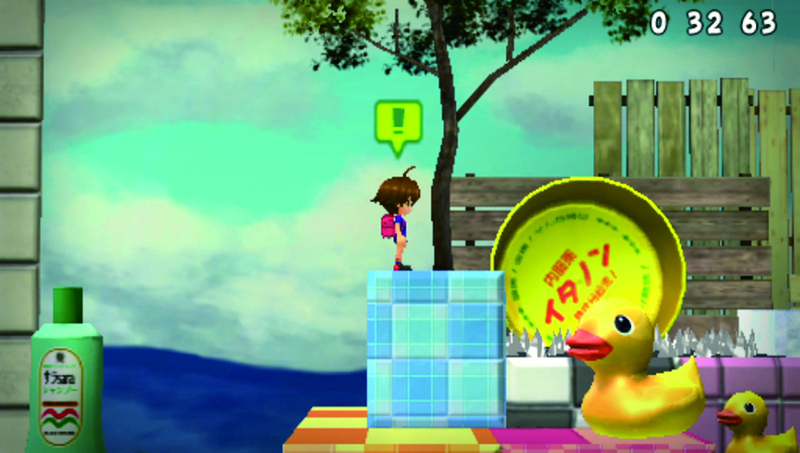 As for the original Umihara Kawase, the game plays out in a very similar fashion to the new one. You have about 50 levels and 10 lives to make it through the levels until you get to an ending. One thing about this game that is kind of interesting is that you can actually be warped to one of the final levels if you take too much time to complete the game. This would be considered the bad ending of the game. 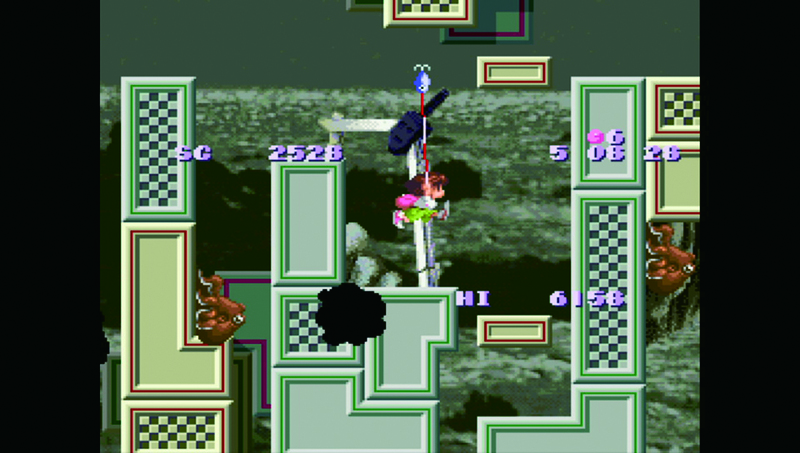 I find it a bit more challenging than Sayonara Umihara Kawase+ due to the limited lives, and enemies seem to spawn and respawn at random areas of the level, requiring you to be on your toes at all times. For some odd reason, your heads-up display, containing the score timer and lives counter, is in the middle of the screen. I can see some players having trouble adjusting to this. Despite that, it is still really fun. Trophies have been added to the game for additional replay value and to satisfy that addiction you trophy hunters have. As you can probably guess, they are tough to get. Many of them involve collecting the hidden backpacks in the levels, finding all of the exits in levels or dying a bunch of times in a level. As of this writing, my highest fail count is 89 on Stage 59. Yea… I don’t want to talk about it. What I DO want to talk about is how much I recommend this game for those of you that like platformers. 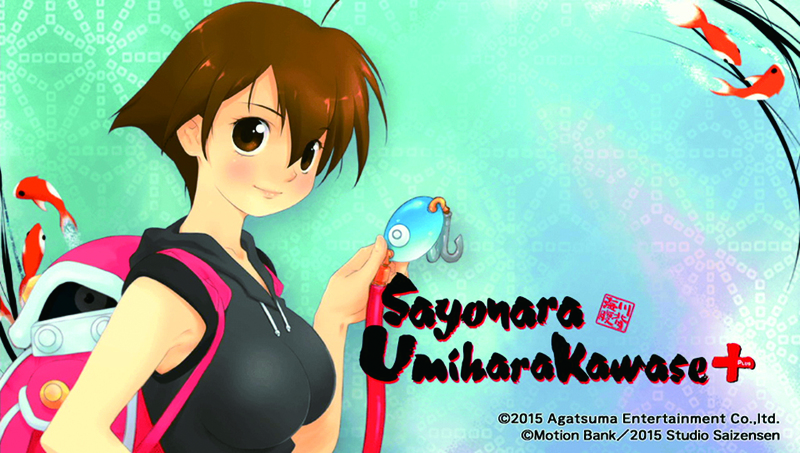 Sayonara Umihara Kawase+ is a great value at $19.99. You are given two great games with many levels to master, plenty of unlockable artwork, music and a couple of outfits for Umihara. If you have a Vita and want something a bit different, do not miss out on this one.